Smooth. Real natural. ↓ TranscriptI've kind of missed Amanda's cloying side. A little. Color tools acting wonky on the laptop, will have to update with colors at home. -EDIT- Reloaded drivers and got things working enough to color things in. Know when to hold’em, and know when to fold’em ↓ TranscriptThose lyrics refer to card game strategies Selkie, not your enemy's spines. I just want to be clear about that. Not it. ↓ TranscriptShe's accidentally correct about it being a spy code, but that passphase only acts to alert nearby agents that it's fifteen minutes until lunch break. She’s spoken normally when writing or reading aloud a few times before. 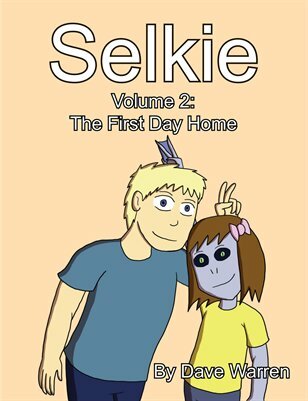 Closest example to pop in my head is here: https://selkiecomic.com/comic/selkie455/ ‎Note how she writes the words in normal-singular.